Cancellation till 2days before arrival. After that we accept 90% (balance payable upon arrival) of the first night booking fee via credit card. 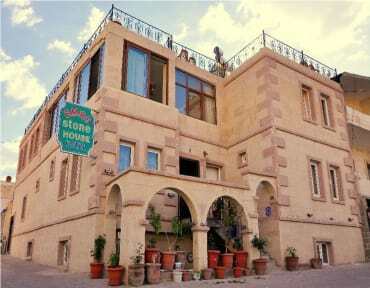 We are 2 minutes walk from Goreme bus station and center of village. 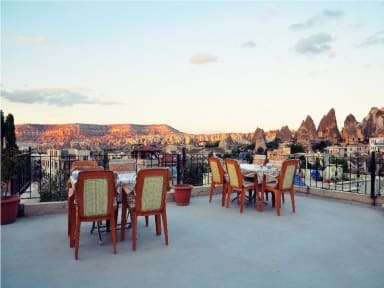 Have great view of Rose valley, fairy chimneys and Uchisar castle from roof terrace. Payment upon arrival by cash (Turkish Lira, Euro or in US Dollar) or credit card. Non smoking. You can smoke outside or up on roof terrace. Reception is open until mid night. Difficult access with wheelchair, only stairs available.